Our engineering in this field is concentrated on design to optimize shaft construction and the design of primary lining supports. We work with specialist contractors to develop construction methods, and undertake periodic review of any variation of conditions encountered in the field. 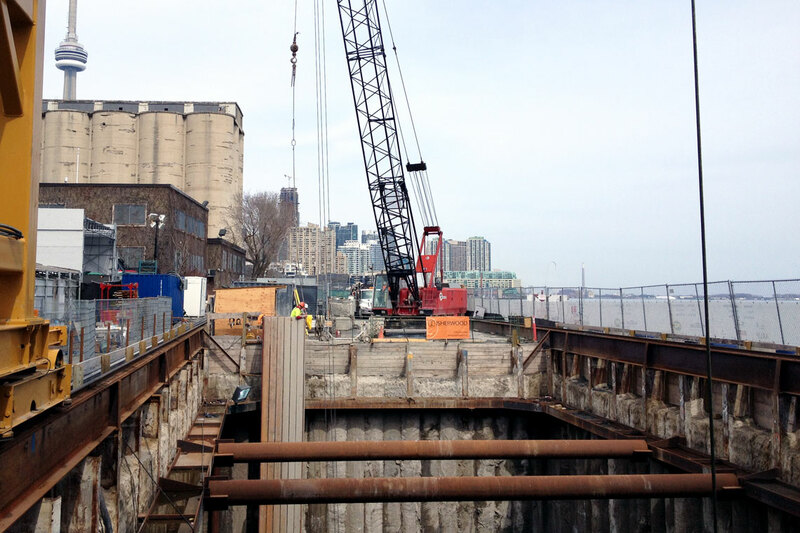 Shaft excavation at Billy Bishop Toronto City Airport Pedestrian Tunnel.